Jacqueline Cruz 03/11/2013 My family and I had the privilege of having my son's Transformor cake made bySweetcreationz Facepainting- She did a great job and the detail looked amazing. And best of all the cake was delicious and moist. Thanks again! Thank you so much! I love all the pictures! Everyone loved and raved about your work. You were well worth your services and I appreciate your professionalism. I gave a few people your cards and number. Thank you again! I am so impressed with your cake designs. You're doing amazing work. I had the privilege of meeting her in our 1st cake decorating class. She is such an amazing christian woman and you won't be disappointed in her work. Miss seeing and talking to you. JANUARY 22nd 2012: LAKELAND, FL Lake Mirror Barbie Birthday: RACHEY Thank you!!! Soooo much you were awesome!!! Comments:	From:	Melissa Gonzalez Sent:	Tue 3/30/10 9:34 PM To:	SweetCreationz Facepainting (sweetcreationzfacepainting@hotmail.com) Thanks for everything. You guys were wonderful. Other than the bug bites...they kids really had a great time. :) Thanks again. Comments:	Thank you so much Victoria. My guests were very pleased with your work. The tatoos were a hit as well. We all had so much fun. You made my daughter's 2nd birthday very memorable. Comments:	We hired Sweetcreationz for facepainting in our daughters birthday party. They were very professional, kind and creative. Kids had a lot of fun. They were very thoughtful to do colors that match kids dress. All our guests were very impressed. We booked for 2 hours and then extended as the kids lined up again and again. Thanks for making our party extra special!! Comments:	i hired sweetcreationz to facepaint at my sons party and couldn't be happier. Not only were they personable,professional and creative. Her artistic abilities will mesmerize you, the children were so happy with the results and so were the parents. Thank you sweetcreationz for making his party extra special!!!! 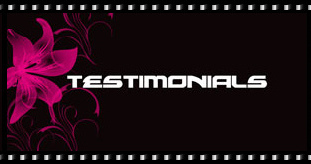 Comments:	We hired SweetCreationz for our daughter's 1st Birthday Party on 3/15/09 to do face painting & glitter tatoos. We were very pleased with their professionalism and artistry. SweetCreationz, confirmed the event in the morning 7 to discuss any last minute concerns. They arrived on time and ready to perform. Our painter was very talented and creative. All of our guests were impressed and the children LOVED the designs. I would highly recommend SweetCreationz to anyone looking for entertainment at their next party. SweetCreationz helped make our daughter's birthday a success! THANK YOU!!! !